Previous investor Foundation Capital led the Series A round. 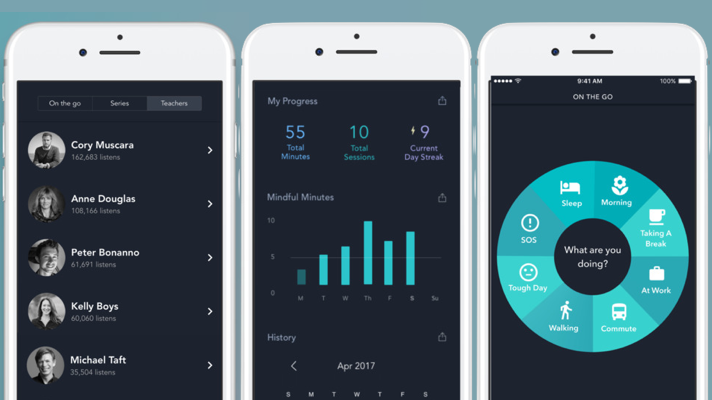 Meditation app Simple Habit has raised $10 million in Series A venture funding. Foundation Capital, which also led the company's $2.8 million seed round last May, led the round. The app offers more than a thousand guided meditations from famous mindfulness and meditation teachers. Users can also search for meditations aimed at particular symptoms like insomnia, or aimed at particular life situations like a hard day at work. Meditations are as short as five minutes, and the app encourages users to complete one a day. The app is free, but users can pay for premium access and in-app purchases. Meditation apps are having a moment, with a slew of apps like Calm, Headspace, and Pacifica running up the iTunes charts. In theory it seems like leveraging the smartphones most people have with them constantly could be a good strategy to improve mindfulness and reduce stress. In fact, what little research there is into the effectiveness of such apps is mixed. A study last October from Carnegie Mellon showed an app could measurably reduce stress, but a more recent study from BMC Psychology showed a mindfulness app had the same effect as a sham app. Whether they work or not is one question, but whether meditation apps can turn a profit is another. One of the biggest entrants in the space, Calm, is increasingly turning to brick and mortar deals to diversify beyond the app space. Just today the company invested $3 million in airport spa outlet XpresSpa. Not only has the meditation app space been a hotbed of digital health funding, its also been a recent locus of M&A activity. Meditation app Meditation Studio was acquired by EEG headband maker Muse in September. That same month, Headspace announced its acquisition of voice-enabled AI system Alpine.AI, furthering the former's development in personalization and conversational products.